We’ve introduced a new option for our customers with ManyCam 5 for Windows and ManyCam 4 for macOS licenses that allows converting activation codes into subscriptions. You can learn more about it from this article. Your activation code is now transformed into a new ManyCam Subscription. You will find it in the My Subscriptions section of your account. My code is already linked, what do I do? 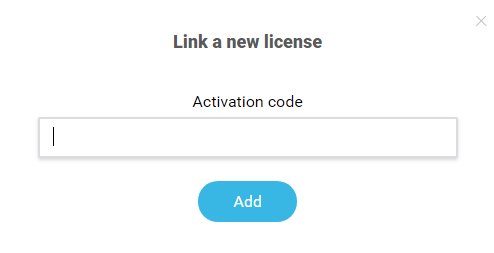 In case your code is already added to your account (you saw it there when you logged into your account), you can convert it simply by clicking on Convert to subscription button as shown below. As in the case above, your new subscription will appear it in the My Subscriptions section of your account. If you don’t have an account yet, please sign up for one on our website and link your activation code(s) to your ManyCam account. Accounts are created by users only, they are not provided upon purchase. Please contact us in case you don’t remember your activation code(s). Converted subscriptions are compatible with ManyCam 5.8 for Windows and ManyCam 4.6 for Mac. Download them here. This guide will show you how to activate your ManyCam Subscription in three easy steps.